Talkingink offers FREE online fundraising stores. Since these are free you are already ahead of the game since fundraising is about maximizing money coming in and minimizing money going out. 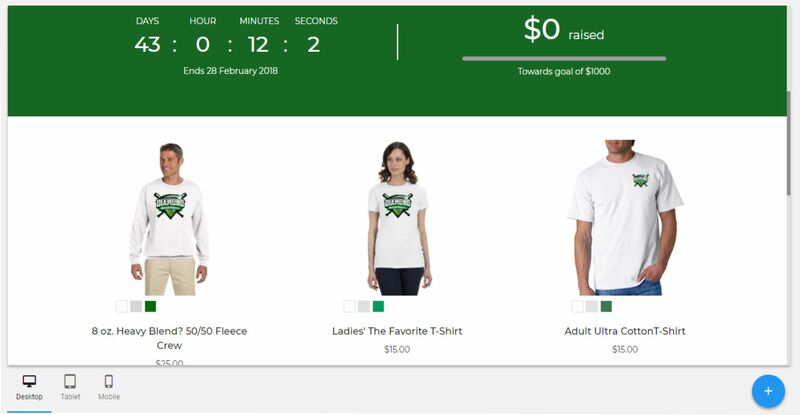 Saving money on shirt inventory, web hosting fees, ecommerce costs, allows you to maximize your money in to raise funds. – One individual created their own brand and sold t-shirts for profit a few times per year. The possibilities are endless for needing a free fundraising store. These are just a few examples and these stores can be used for any cause that uses apparel to make money. It really is that easy. You have only 3 duties to get a store up and running. 1. Let us know what products you want to offer and provide us with the designs for those products. 3. It’s up to you to promote the link to your store. Contact us for details. We’ll be happy to speak with you more about how Talkingink can assist you in your fundraising efforts.